Paizo, rpgnow and drivethrurpg aren’t the only ones but probably the largest ones. With Wizards stopping the pdf distribution of their products they probably try to harm a bit of the industry on one side, and will limit the former-canon products available to be used with PathfinderRPG. In my opinion this sounds very much like the Music industry to me and their everpresent fear of piracy. Hey guys, we’re your customers – have you ever – EVER – heard of Customer Relationships? You should try to inform people about measures you’re taking, you should try to make them understand. Looks like I’m not the only one hoping sincerely that WotC sells the IP rights for the whole D&D products soon. Well, I’ve stopped buying original WotC products when 4e came out, my disappointment with the license that ended the revolutionary era, started by the whole d20 and the OGL, and ended with the rest of 4e – for which not a single player of my group could find a little motivation for – it was in short just a disappointment with a few ideas but intended obviously for a different audience. For now I’m still waiting for WotC to search for a legal action to be taken against PathfinderRPG – that would just seem to be the next step a giant like WotC – obviously blind to see the most loyal customers around… Hell if this happens I really hope we would find a way out. 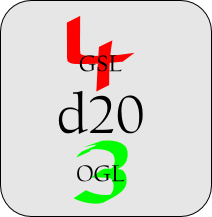 ault at the GSL (license of the 4th edition D&D). With a copyright lawyer in the real world as president, I keep my fingers crossed that the GSL will fall before it causes any serious harm. 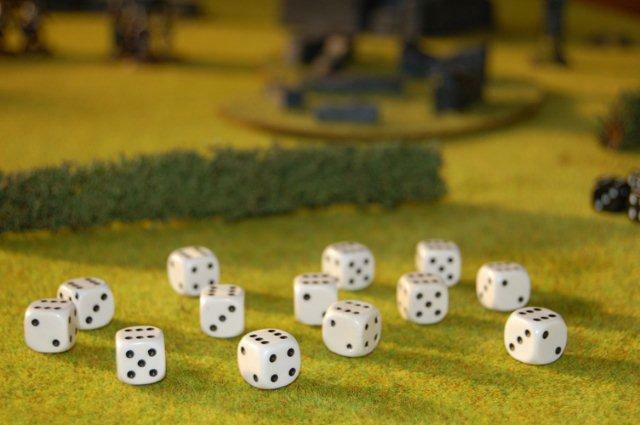 Besides of all things that I like and don’t like with the new edition of Dungeons and Dragons, their new license was one of the things that just make me shrug and shake-head… Honestly, I think one of the main keys to success of the 3rd edition was their open policy – the open readable SRD enabled everyone to take a look at the rules and more importantly the OGL enabled dozens of other companies to release products for the d20 system. Maybe there is someone among you, that knows why they changed this open and (journalists would probably call it Web 2.0 approaches) friendly license to the GSL type of license that bans almost everyone from releasing new material in this regard, unless they wait for quite some time. I really don’t get the point of this – maybe you can help me. Update: Looks like I’m not the only one thinking about the licensing of the 4th edition lately. A few hours before this posting was online, Critical Hits put their own comprehensive posting on different companies and their licensing strategy online. It gives a general overview on different companies, whether they stay with the OGL (3rd edition), go for the 4th edition GSL or try a fair-use copyright approach – but have a read yourself.